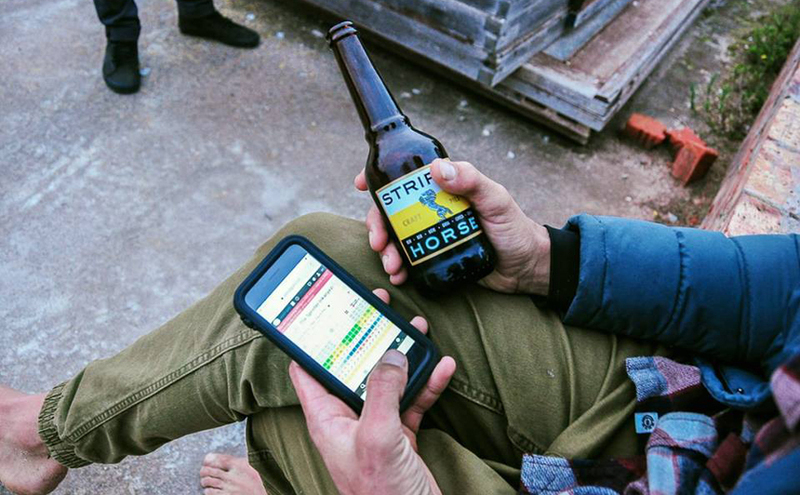 The Striped Horse Challenge has seen the transition from Winter to Summer, and we thought a recap of sorts could go down like an ice-cold lager after a solid session. Or maybe a pale ale. Striped Horse’s yellow labeled offering is by far one of the smoothest and tastiest on the menu. We’ve been #Blessed with so many mad entries which have been pipped at the finish line that some of them have flown right under the radar. The level of surfing in this country is popping right now, and it’s only right that these surfers and filmers/ photographers get their time in the sun for their efforts and skills. One surfer who is riding the cream is young Mikey February. It’s with thanks to the extensive range and variety of waves that he has access to in his backyard that he’s lifting leg with the big dogs on the WSL world tour. See below for reference. The SHC accepts entries from South Africa, Namibia and Mozambique and this freedom of location have busted the doors wide open. We’ve seen entries from all of the above resulting from all coves, nooks, corners and cranny’s all over the country. This event is a working surfers dream. Get barrelled, filmed, submit and stand a realistic chance to win a return flight to Hawaii. Never mind the mad product to go along with that. Young KZN kid, Justin Sykes, went up the West Coast for the Vans event and got absolutely pitted post comp. He didn’t win the June edition but hell we like the approach he took to negotiate a very phat pit and find a smooth, stylish exit. July was won by Twiggy Baker’s ridiculous 10-foot Western Seaboard wonder. You’ve undoubtedly seen the sick drone angle captured by Matthew Kleynhans and the beach perspective shot by Adrian Charles. That left Davey Van Zyl’s internet breaker, a triple barrel punctuated only by a manly grab rail carve. It was a significant high-performance spectacle, but the judges held firm, and Twiggy got the nod. If you haven’t seen Davey’s wave (even STAB magazine featured the thing), then see below. This one’s quite drool-inducing so clench your jaw before clicking play. But July had a lot more going on than just DVZ and Twigs rides. Dale Staples, Josh and Dan Redman, and Juriah Muller all submitted crazy entries. From sandbar perfection to Donkey Bay madness and all the way across to the fear-inducing Dungeons, the boys went ballistic. Have a look at Josh locking into a pier chandelier which he proceeds to decimate upon successful exit. Dale Staples deserves special mention in any conversation relating to South African surfing. The boy shreds. Hard. In all conditions. He also submitted no less than six entries into the July round. He’s apparently as frothy as a chai latte to get his Hawaiian groove on. Anyway, we liked this land angle shot by Grant Scholtz of Dale getting deep at the Donkey. So as we head out from the winter conditions and the summer spots start waking up – take a friendly cameraman or woman with you down to the beach to film or photograph your session. You never know; you may find yourself in surfing Mecca at the end of the year, haole. Oh, and here’s a final banger for your viewing pleasure.